They say that you can’t help who you fall in love with, even if that person lives a thousand miles away. 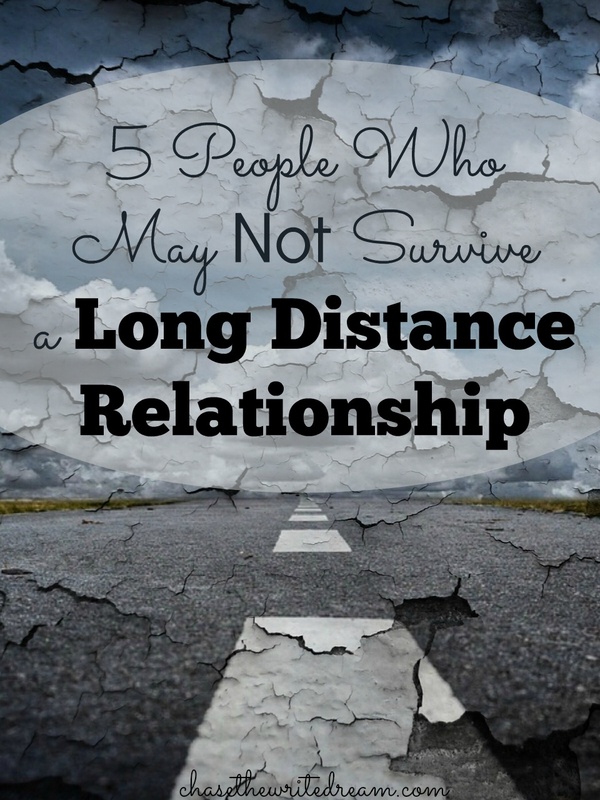 Making the decision to be in a long distance relationship in the first place requires careful consideration and input from both parties involved. Traits such as having strong communication skills, the ability to express feelings through words, and a lack of jealousy are all important characteristics if you want to make it work. While the internet and social media have made long distance relationships doable, there are still those individuals who will most likely fail at them. Jealousy alone is enough to kill a relationship where the two individuals get to see each other every day, so adding distance to the equation is just asking for a disaster to happen. How do you know if you are dating a jealous person? In addition to knowing if you partner is jealous, you should also notice any of these characteristics in yourself. If you find that you struggle to trust people when they are far away, especially for long periods of time, then a long distance relationship may not be the best fit for you. Before you jump in, get to know yourself and see if you would be causing more harm than good by committing to being with someone who can’t physically be next to you for weeks or months. If you have never taken the 5 Love Languages test, then I highly recommend that you do. The reason I say this is because we all have a way in which we give and receive love the best. If you or your partner have physical touch as the primary love language, then it may be extremely difficult to have a happy long distance relationship. People with this love language like to hold hands, give hugs, and just be close to the person they are with. When that is taken away, the individual may not feel the same sense of emotion or they may struggle to make up for it in other areas. Physical touch is a wonderful love language to have, but it just doesn’t fit well for long distance relationships that require the two people to be apart for extended periods of time. Talking and having conversations is going to be the main method of communication while having a long distance relationship, so if you or your partner do not enjoy making small talk or chatting about your day, then you will struggle to make any progress. In fact, the person on the other end of this battle may be left feeling as though you don’t want to talk to them or that you aren’t worth the time. When you make a commitment to be in a long distance relationship, you have to be creative and learn how to communicate well. 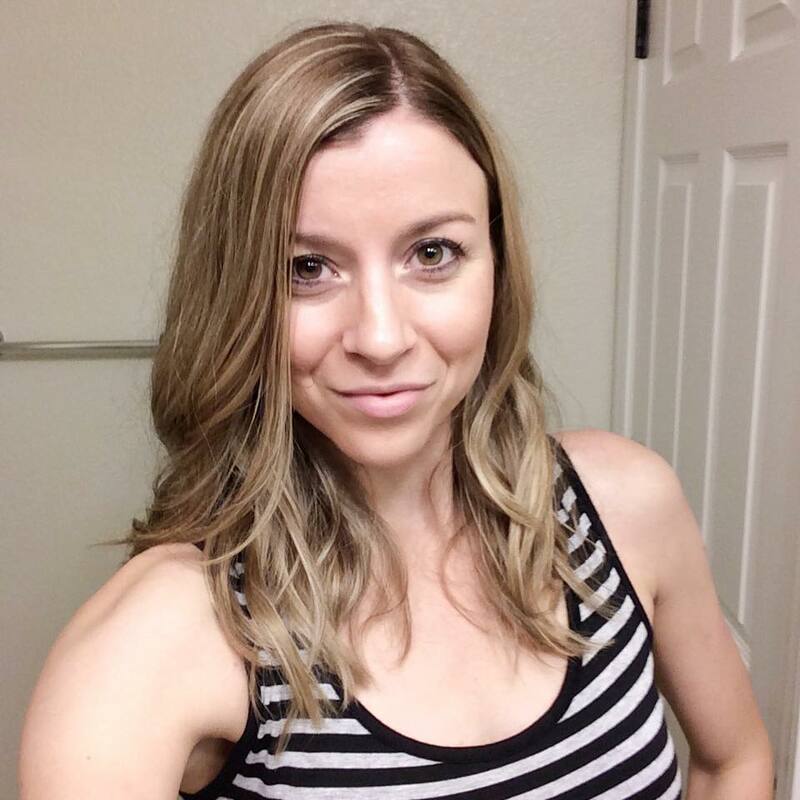 If you really want to make the relationship work but you know you aren’t the best at making conversation, then write down some prompts for yourself before you get on the phone, text, or start a Skype session. It may seem awkward at first, but the practice will make conversing more natural as time goes on. You may even want to play a game of 20 questions so you two can get to know each other better or go on a date to the park where you each get to show the other person where you are. I could be wrong about this one, but I have found that most people who are workaholics thrive more on being able to simply be in the presence of their partner, even if no words are being said. The simple thought of having that person present is enough for them and it also gives them the ability to complete any work they need to do. Unfortunately, being a workaholic doesn’t mesh well with a long distance relationship. Not only would the partner on the other end feel as though they weren’t getting enough attention, but the workaholic may also feel like they are having to sacrifice too much business time to attend to their relationship. 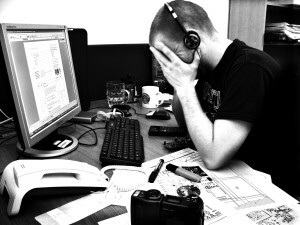 I’m not saying that being a workaholic is always a bad thing or that these people can’t get out of that mindset, but they do tend to be constantly doing something and slowing down to have a conversation that requires their full attention could prove to be an enormous challenge. The moral of the story is: if you are a workaholic or you are interested in having a long distance relationship with one, set a specific time to talk each day and be elated whenever any extra communication is allotted. If you can’t handle that, don’t feel defeated – some personalities just don’t do well with distance. Although not as common today, there are still individuals who don’t know how to use Skype, send texts that don’t sound like a yelling match, or understand how a simple morning text can brighten someone’s day. Yes, these are the people who can make a long distance relationship practically impossible because they don’t know how to use the devices that provide the best methods of communication. All it takes is one phrase to be in all capitals to make the person on the other end feel inferior and then there goes the relationship up in smoke! Okay, that may only happen in some instances, but think about it – if you are with someone who doesn’t have access to technology so that you can communicate consistently, then how do you expect to grow as a couple? Doesn’t it just get to the point where you are simply calling each other a significant other when you have realistically become just friends who talk every once in a while? Wishing you the best in your long distance relationship. Remember – Communication is everything! 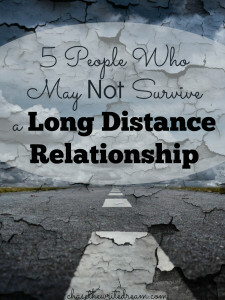 These are great tips for long distance relationships! My hubby and I were long distance for two years. It was really hard, but doing things like writing letters and being creative in how we communicated taught us so much. Glad to see you’re sharing those tips with current long-distance folks! They need the encouragement, that’s for sure!